All the way back in May (I could turn this into a poem now, but I shan't. I can already hear your sighs of relief) I posted a series of three posts, each suggesting ideas that I would recommend to paramedics new and old, but particularly new. The first, which I suppose is much more London-specific, was to join the BETS team, the second was about learning to read maps and not rely on GPS, and the third was about not only learning, but teaching. This is the fourth of my suggested ideas. Yesterday, I had to take yet another driving test. It was my tenth driving test. Considering I have never failed a test, it's a little confusing, but still, experience is always invaluable. The driving test involved three hopeful applicants, one driving examiner, and a specially modified ambulance with dual controls. You'll be pleased to know that I passed. We each took it in turns, and just like the other two, I had my 20, perhaps 25 minutes where I drove around the busy streets of one of the towns in central Israel, avoided the obstacles, navigated the narrow streets, slowed down for the speed bumps, stopped at red traffic lights, managed not to hit any pedestrians (apparently that's fairly frowned upon, as we were reminded at the start of the test) and talked to the examiner about life as a paramedic in London. It all seemed too easy and for the hour we had to wait between the test and calling back for the results, I fretted a little. Although, to be honest, I was more concerned for one of the others. No one seemed to tell her that equally as important as not hitting pedestrians, particularly on your ambulance driving test, is not driving on the wrong side of the road. I know, I've abandoned you. I'd even abandoned twitter for a few days. Well, at least one of my accounts, anyway. We've had a hairy few days in Israel (he says, somewhat underplaying it), and whilst this is not the forum for political comment, I just thought I'd let those of you who care (and I know there are some - your messages have been truly appreciated!) know that we're OK. We've been within sight and sound of some missile hits, but luckily no worse. In the meantime, my writing efforts have been spent elsewhere and my so-called spare time has been taken up making sure that my family and friends aren't panicking too much. Particularly the ones who are too far away to go through it with us. Life in this country is never dull; I had never, for example, had to run an air-raid siren drill with my kids; and whilst we're still technically at war, I am today heading for yet another ambulance driving test, so I can stay on the side of the life-savers. Hopefully, some normality will return soon. For the last couple of years, around the time of Remembrance Day, I write a post to mark the occasion. Last year was a story about stories. The year before that, I linked to a story, a single, solitary moment in the life of a soldier. One of my favourite posts to date, even if not the most popular. This year, I apologise, but I want to raise a point that bothers me. Despite being thousands of miles now from the UK, we can still watch British television programmes. For the past few weeks, TV hosts, guests, audiences, even bit-part players in so-called reality or talent shows, have appeared with a poppy attached to their clothing. Anyone likely to appear in-shot is also given one to wear. I know for a fact that most of them do not buy the poppies, but are just presented with them in order to ensure that they appear suitably attired. To my mind, this not only belittles the poppy, but also defeats at least half of its purpose. The poppy is worn as a reminder. A reminder of those who fell in battle, those who never grew old, those who never returned home to their loved ones. But it is also a fundraiser. Selling poppies is by far the largest revenue generator for the Royal British Legion, a charity that supports those still serving, the ones who came home injured, as well as the families of those who never came home at all. Seeing sparkly, show-biz poppies doesn't achieve the desired effect, in fact, it misses the point completely. 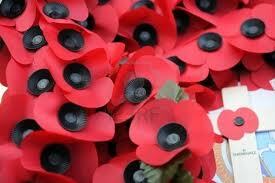 The poppy isn't a piece of jewelry, it isn't a fashion accessory, it isn't a part of a costume. The poppy is a mark of respect, a symbol of hope as well as remembrance. Tomorrow, as many millions around the world pause to reflect and remember at the eleventh hour of the eleventh day of the eleventh month, I will join them. I will wear a poppy. Not because I've been told to do it, or because it looks good on what I'm wearing, but as a simple symbol of respect to those who have served as well as those who continue to do so. The door is opened by a late middle-aged man holding a wet flannel on his forehead. The call has come in as the lowest category of call, the infamous Green Call that can be anything from a back ache to a dizzy spell, from leg pain to a nose bleed. "Come in boys, take a seat. I'm just turning the gas off and I'll be with you." We follow him in, his shuffling footsteps making a marathon of the short corridor until he points us into the lounge and we take a seat. The room is stuck in a time warp, the furniture and fittings in the enormous semi-detached home harked back to the 1970's and were all immaculately cared for, but dated nonetheless. Greg, my partner for the day, whispers as we're walking in that he'd bet a month's wages that the toilet is avocado green. "I can't afford a month's wages. How about a tenner? I reckon it's pink." "How can we help you today, sir?" Greg asks, after the gas is turned off and our patient collapses with much drama into an armchair. "Well, first, you can call me Ray. None of this sir nonsense. I've been having these stomach aches for a couple of days now. Having to rush off to the loo every few minutes. If it's not one end, it's the other. I just can't take it any more." "Have you seen your doctor?" "Went this morning. She told me to sit it out. I complained at the turn of phrase." All three of us rolled our eyes. "Have you managed to eat anything? Or, more importantly, drink?" "Water, yes. Food, no. Just can't keep it down. Or up. Depending on which way you're looking at it." With that, he apologised, told us to make ourselves a tea or coffee, got up and went back to the bathroom under the stairs. I'd noticed it when we came in, a sign on the outside reading "Harry's Room" with a cartoon of a boy flying on a broomstick. Two minutes later, having been left to our devices, we'd decided what we could do to modernise this house, how much it would cost and how much we'd sell it for. "We'd make a fortune!" Greg announced. "Just one problem. It isn't ours." "Well, a man can dream, can't he?" The second those words left his mouth, he regretted them. We were snapped out of the dream by a crashing noise and a grunting sound that could only mean one thing. Ray had either fallen or collapsed. We both jumped up, tried to open the door and discovered it was, unsurprisingly, locked. Greg runs out the front door to the side of the house to see if there's any access, only to discover that the window was no bigger than a cat-flap. "We'll have to kick it in!" "He'll be right behind the door!" "Well, what other choice do we have?" A muffled voice comes through the door. "Don't kick the door. I'm alright. I'll be up in a second. Just slipped, that's all." Greg and I breathe a sigh of relief. Allowing a patient to go to the toilet is always risky, especially if they're already weak or particularly if they're suffering with a heart condition. Hearing Ray's voice put both our minds at ease. Until there was another thud. "It's alright lads. It's just me sitting back on the seat again." Finally, the door unlocks and Ray tries to walk out. There's a small cut on his eyebrow and some blood on the floor but nothing too worrying. I make sure he's stable as Greg steps back out to the ambulance, both of us noticing the colour of the bathroom before he walks off with a shrug of the shoulders. "Stay there Ray. Greg's just going to get the wheelchair. Don't want you walking anywhere else." "Probably a good idea, but I don't want you lads going to any trouble." "Oh, don't worry about that. It's no trouble. Besides, you just won me a tenner!" "How'd I do that then?" "Your choice of bathroom colour. Pink was my bet." "That's only just gone in. It was green until last week. That awful avocado colour. Been like that for years. Couldn't stand it any more, so just went with whatever my sister suggested. She said that pink would be more attractive when I came to sell the place." "Do me a favour, Ray. Don't say a word to Greg, will you?" The wheels of the chair clatter against the floor as Greg reappears, opens the folding contraption and sets it up. Ray sits in the chair, we wrap him in the hospital blanket and secure the seat belt, keeping him warm and safe. "Can you wheel me out via the kitchen? I need my keys and phone. Oh, and I've got a present for you Greg." Confused, we head backwards before going forwards. Ray picks up his keys and phone from the worktop, then asks Greg to open the fridge. I put my boot on the carry-chair's footplate to stop it from tipping as Greg does as he's asked. "It's there. In the door. Second shelf down - little shelf with the lid-type thing on it." Greg lifts the plastic lid and takes out his prize. "Funny, gentlemen. 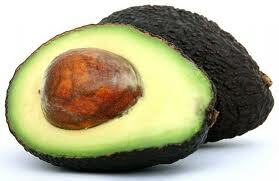 Funny," Greg laughs, as he places the avocado in Ray's lap.